Plot: Holly Martins (Cotton) a pulp novelist, accepts a plane ticket and a job offer from mysterious friend Harry Lime (Welles) in post war Vienna. Upon arrival, Martins learns that Lime is dead under mysterious circumstances. His search uncovers all sorts of unsavory characters, each seemingly involved in furthering or stopping of the Viennese black market that Lime seems to have played a large part. One notable exception is Lime’s Czech born girlfriend Anna (Valli), who’s love for Lime is pure and sentimental (she even wears his PJ’s to bed every night). Even after the British authorities make it clear Lime is a bad man she insists that “a person doesn’t change just because you know more.” Martins falls for her, but is no match for the memory of Lime. Cotton’s Martins, however, is the perfect foil, pure American clumsy persistence, to Lime’s dashing cypher. As the mystery of Lime’s death unravels his friends present Martins with a combination of benign assistance (although never quite trustworthy) and sinister menace (including killing a potential witness to Lime’s death that is then pinned on Martins). The British intelligence officer Major Calloway (Howard) is persistently interested in not only exposing Lime as a bad man, but proving that his death was a karmic reaction to his deceitful ways (the trip to the hospital ward for Martins’ benefit is particularly reflective of Calloway’s doggedness). Without giving too much of Lime’s mystery away, the scene between the 2 protagonists on the Ferris wheel is wonderfully balanced with menace, duplicity and warmth, illustrating the complexity of Lime as each emotion flickers in the scene. Finally, the climactic chase through the sewers of Vienna is a tour de force of shadows, echoes, noise and quiet, punctuated by a single gunshot to close. 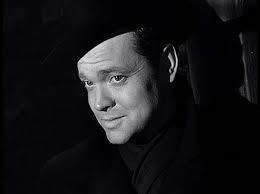 Thoughts: The brilliance of The Third Man cannot be understated. Carol Reed & writer Graham Greene perfectly capture the menace and uncertainty that must have permeated divided and closed post WWII European cities. 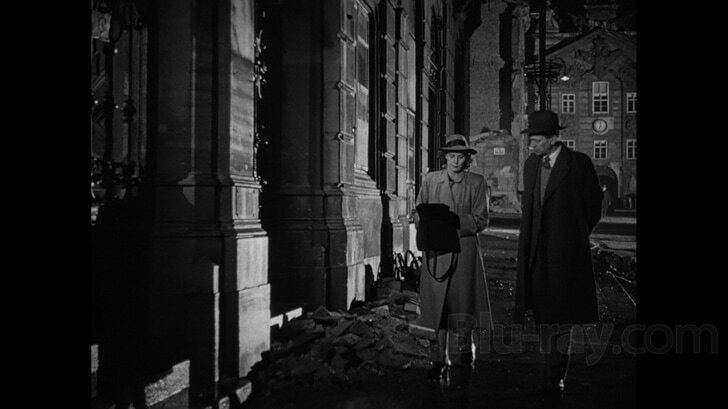 Vienna is a character itself throughout the movie; a city in perpetual night, with few or no people visible in its bombed and destroyed city center. Only the clean lines of the subterranean sewers are free from destruction;with the climax playing as a world upside down as Harry struggles to free himself up & out of the watery tunnels. If Vienna is a secondary character, then Robert Krasker’s Academy Award winning, crisp black & white cinematography and Anton Karas’ lively & haunting zither music are featured players. Krasker’s shadows are ink black, swallowing up characters repeatedly. As a shadowy figure lingers in a darkened doorway, for instance, a shaft a light slices across his feet, exposing a curious cat that tells the viewer it is Lime’s feet. Martins struggles, however, to see into the abyss, as does the viewer, but Krasker has shrouded him completely in darkness. Similarly, when Ana retreats to her bedroom while being questioned by British authorities, the darkness envelopes her, shielding her from the prying eyes and troubling questions. She simply disappears. 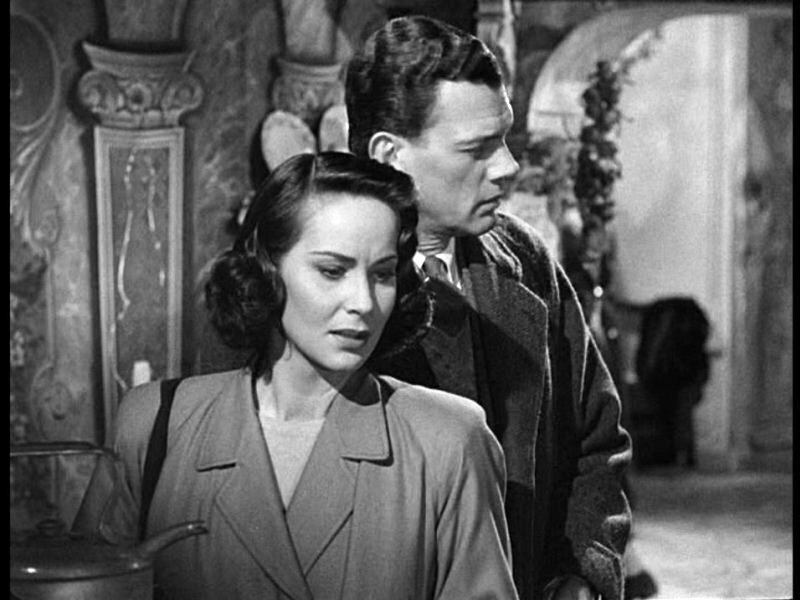 Throughout The Third Man, Karas’ zither, on the other hand, offers at first a counter note to Martins’ search, giving the life & death mystery a comic whim. Later, however, it layers a feeling of foreboding matching the tightening noose around Lime. Producers Alexander Korda & David O. Selznick shared distribution rights, but The Third Man was sometimes credited as being better for Selznick’s lack of involvement, rather than his involvement in the production.